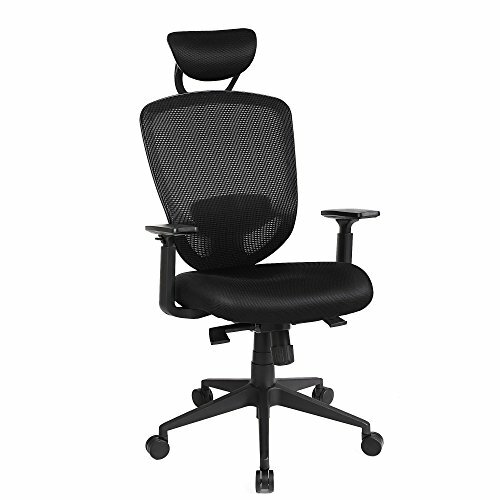 Ergonomic mesh desk chair is designed to keep you cool and comfortable all day. The backrest that helps keep a correct sitting posture is fully supported by the breathable mesh fabric that will keep you cool in summer. It prevents the back impact brought by the rebounding from the adjustment of back recline. Additional wheels and numbered screws are included as spares. It's easy to assemble and comes equipped with assembly fittings. Its use as a multi-purpose ergonomic office chair is not its only feature; it is also an attractive item for both office and home.